Thus, if Valentines Day is a disturbing reminder that you remain frustrated and “stuck” in negative cycles as a couple or with your partner, perhaps the holiday is a good time to take charge and make the call to a marriage counselor or relationship therapist. Dr. Cunningham offers evening hours to accommodate working couples and a complimentary 15 minute telephone consultation to see if it makes sense to book an initial appointment. She can be reached at 619 9906203. Do not delay-make the call today! On this eve of Thanksgiving, I am reminded that I am blessed to travel along part of the life path of so many sojourners. At Relationship Counseling San Diego, where I provide couples counseling and individual counseling, I am pleased to offer evening hours to accommodate couples and individuals whose work schedules do not permit attending psychotherapy during daytime hours. My model of treatment is explained on my webpage: just go to http://www.Cunninghamtherapy.com and click on Model of Practice to learn more about how I work. Or call me at 619 9906203 for a complimentary phone consultation. Prayer is not a “spare wheel” that you pull out when in trouble, but it is a “steering wheel” that directs the right path throughout. So why is a car’s windshield so large and the rear view mirror so small? Because our past is not as important as our future. So look ahead and move on. All things in life are temporary. If it’s going well, enjoy it. It won’t last long. It it’s going badly, don’t worry. That won’t last long either. Old friends are gold! New friends are diamonds.! If you get a diamond, don’t forget the gold! Because to hold a diamond, you always need a base of gold! When God solves your problems, you have faith in His abilities; when God doesn’t solve your problems, He has faith in your abilities. May the spirit of the season guide your heart throughout the year. 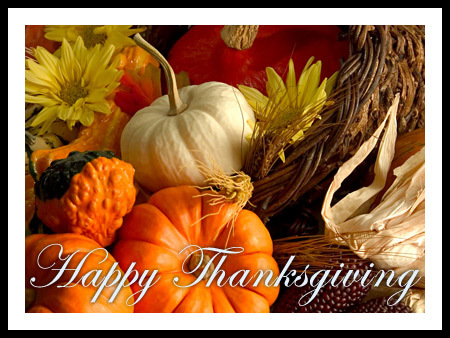 Happy Thanksgiving From Affordable Relationship Counseling San Diego! Dr. Barbara Cunningham, a licensed marriage and family therapist, practices couples counseling in the heart of San Diego. Dr. Cunningham believes that relationship counseling is not for the faint of heart–it takes courage to look within. Listed below are some of her favorite quotes on marriage and relationships. “We just say the divorce didn’t work out.” Joe, who remarried his wife after they divorced. As a marriage and family therapist in San Diego, I practice couples therapy and individual therapy using an intergenerational perspective. I specialize in helping couples and individuals live more meaningfully in their most important relationships. Relationship counseling and individual counseling is better to seek sooner rather than later when one experiences chronic challenges in relational functioning. Research has shown that couples typically wait 6 years before seeking couples counseling. It is wiser to get help earlier and before problems fester, causing resentments to harden and become more resistant to treatment. “The problem of the ‘triangled’ child presents one of the most difficult problems in family psychotherapy. Dr. Murray Bowen was one of the important pioneers in marriage and family therapy. As a clinician who specializes in relationship counseling, I am guided, in large part, by his ideas. To learn more about my model of practice, visit me at http://www.Cunninghamtherapy.com or call 619 9906203 for a complimentary telephone consultation. At San Diego Relationship Counseling, Dr. Barbara Cunningham offers affordable rates and evening hours to busy professionals who are looking to address their impairment from a systems perspective. Dr. Cunningham is the author of a chapter in an academic textbook edited by Gary W. Lawson and Ann w. Lawson entitled ALCOHOLISM AND SUBSTANCE ABUSE IN DIVERSE POPULATIONS. The chapter is entitled “A Family Systems Treatment for the Impaired Physician.” Physicians and other people in the helping professions seem to have a high risk of using coping skills that encourage escapism rather than skills that develop the capacity to “bend in” to problems, especially problems interfering with their most important relationships. The books listed below are resources for those people looking to understand the dynamics behind such escapist solutions to the exigencies of life. Bowen, M. (1978) Family therapy in clinical practice. Northvale, NJ, Jason Aronson. Cunningham, B. (2006). A resiliency-based, Bowen family systems approach to treating a sibling survivor of homicide: A case study. Doctoral dissertation, Alliant International University, San Diego, CA. Ellis, J.J. & Inbody, D.R. (1988). Psychotherapy with physician’s families: When attributes in medical practice become liabilities in family life. American Journal of Psychotherapy, 42, 380-88. Gabbard, G.O., & Menninger, R. W. (1989). The psychology of postponement in the medical marriage. Journal of the American Medical Association, 261, 2378-2381. Lawson, A.W., & Lawson, G.W. (1998). Alcoholism and the family: A guide to treatment and prevention. (2nd ed.). Austin, TX: PRO-ED. Mansky, P.A. (1999). Issues in the recovery of physicians from addictive illnesses. Psychiatric Quarterly, 70, 107-122. McGovern, M.P. Angres, D. H., & Leon, S. (1998). DIfferential therapeutics and the impaired physician: Patient-treatment matching by specificity and intensity. Journal of Addictive Diseases, 17 (2), 93-107. Robb, N. (1998). Teaching on addiction issues lacking in medical school, specialists told. Canadian Medical Association Journal, 158, 640-642. Sotile, W.M., & Sotile, M.O. (2000). The medical marriage: Sustaining healthy relationships for physicians and their families. Chicago: American Medical Association. Talbott, G.D. (1987). The impaired physician: The role of the spouse in recovery. Journal of the Medical Association of Georgia, 76, 190-92. Talbott, G.D. & Gallegos, K.V. (1990, September). Intervention with health professionals. Addiction and Recovery, pp. 13-16. Talbott, G.D., & Martin, C.A. (1986, February). Treating impaired physicians: Fourteen keys to success. Virginia Medical, 113, 95-99. Twerski, A.J. (1982). It happens to doctors, too. Center City, MN: Hazelden. Vaillant, G.E., Sobowale, N.C., & McArthur, C. (1972). Some psychological vulnerabilities of physicians. New England Journal of Medicine, 287, 372-375. To learn more about Dr. Barbara Cunningham‘s treatment model, visit her website at http://www.Cunninghamtherapy.com or call 619 9906203 for a complimentary phone consultation. You may also receive a complimentary telephone consultation by calling her at 619 9906203. *Five quotes from Dr. Murray Bowen are cited within a book entitled FAMILY THERAPY IN CLINICAL PRACTICE (1978) by Murray Bowen (Jason Aronson: Northvale, NJ). As a clinician, I have observed that the pain and betrayal one feels when one’s husband or wife has an affair is enormous. The betrayed may exhibit hypervigilance and a need to keep hearing even graphic details of the story. This pattern of the betrayed needing to question and question may persist for a long time, and therapy discussion needs to continue for however long it takes for the trust to begin to grow again. The partner who had the affair will need to exibit earnest effort and maintain patience in the face of his/her partner’s continuing and valid needs to understand what, where, and how-is-it? that it all transpired. I think of “trust” as lying somewhere on a continuum. From what I have seen in my practice, trust shrinks and grows according to one’s observation that the other person is able to be transparent, even to the point of thinking aloud about difficult material, in front of the other. Affairs signal the likely fact that there has been longstanding tension and/or a disrupted connection between a husband and a wife. Yielding to the temptation of having an affair can signify impulsive behavior and even emotional immaturity (the decreased ability to manage one’s impulses in the face of chronic levels of anxiety). The person having the affair is likely looking to “borrow” self from another love interest, because he/she believes she is not valued, appreciated, or loved as much as earlier in the primary relationship. Or perhaps the betrayer’s behavior is rooted in family-of-origin issues that can be addressed and treated in therapy. In any case, there is a wish to escape chronic anxiety and inner pain about the fact that the primary relationship does not seem to be working, at least not as well as it did earlier in the relationship. The other spouse likely suffers and struggles with similar levels of grief and loss about the marriage and also looks to escape the pain. He or she may instead busy themselves with other forms of escape to distract themselves from and/or compensate for the same emptiness. An anxious focus upon a child is another common pattern of escape from marital difficulties. Salient is the notion that affairs, child focus, and myriad other dysfunctional behaviors are escapes from facing inner pain of grief and loss within the context of the relationship. It may be possible that, like the partner who engaged in infidelity, the betrayed has also long felt an increasing distance from his or her partner. In reaction to perceiving the distancing, the betrayed partner may increase their pursuing by becoming more blaming and critical. Anything to create a connection-any connection! Then the other person immaturely and perhaps desperately looks to use another person to shore up self. When two people become increasingly conflictual and distant, there is a risk that others will be triangled in to compensate (ineffectually) for the pain of loss. This triangling will occur at the expense of healing the primary relationship. The third who is triangled in may make the person in pain just comfortable enough that they now feel even more complacent about implementing change in themself or in the relationship. The pain of the problems in the primary relationship remains unaddressed. The affair is a classic example of the triangle. Additionally and pervasively, children are vulnerable to being used to breech a marital divide. Multigenerational scripts and models for what people do in marriage and/or when they become anxious in other highly interdependent relationships (like parenting relationships) are relevant. Addressing the fusion between two people (when they don’t know where they stop and the other begins) and helping them carve a bit more individuality out of all the togetherness will be a therapeutic way that a couple can increase their capacity for longterm intimacy. To help couples realize that it is key to family resiliency to make their marriage the priority rather than using their children as a distraction from their own intimacy issues is central to treatment. The therapy room can be a safe(er) place to practice transparency on touchy subjects. Transparency is a quality that increases in difficulty as one becomes increasingly interdependent with an important other. It is also more difficult to be transparent about a past behavior about which one is ashamed. Obviously, one of the most challenging exercises in increasing transparency in couples therapy is dialogue about an affair. Working on increasing transparency in therapy is a little bit like a workout for your heart. Every time that you practice increasing your openness with a partner, you are doing your part in creating and maintaining a connection, and/or repairing a ruptured connection in a love relationship. Transparency means you are willing to risk the disapproval of the important other in order to be genuine and accurate in your represention of “self.” You are willing to expose parts of yourself that have previously remained hidden from either self and/or partner. Oftentimes, when people are not transparent with another, they even hide their feelings from themselves. When there has been a longstanding pattern of avoiding and not being aware of difficult feelings within oneself (for example, pushing aside one’s propensity to distance, often in reaction to the fusion or fear of being “swallowed up” by another”), these cutoff conditions make it ripe for symptomology to develop. When there is a pattern of blame/defend in reaction to a partner distancing, the conditions are similarly ripe for marital problems to develop. For each partner to increase their capacity to become more transparent with one another takes a great deal of work and practice. It is difficult to expose oneself and it is also difficult to risk an important other’s disapproval. Therapy questions are aimed at an opening up in order to assist in this effort. There is, early on, an effort to understand multigenerational patterns of what one does when anxious in close relationships in each partner’s respective family of origin. Partners can consider whether they emulate family of origin patterns or “automatically” react in a way to do the opposite of what they learned as children. They can consider whether their romantic behavior as adults has an “automatic” quality to it and is now an obsolescent connection to the past. The question becomes whether old coping skills are still useful in one’s adult life. The effort is to increase one’s capacity to become more reflective or thoughtful about one’s responses with and in front of one’s partner, even during reactive moments. Taking a look at multigenerational patterns and sibling birth order are only a few of the additional cognitive exercises that can help couples struggling with healing after an affair to become less reactive in session. Such efforts result in a more proactive posture in seeing their own part as well as a more earnest posture about being “seen” by the other. One’s “automatic” response may be multigenerationally programmed. A common “automatic” response to relational distress is to emotionally “cut off” in response to anxiety about an important other. One can cut off one’s own awareness of inner feelings as well as cutting off from exposing one’s inner feelings to one’s partner. Taking an anxious focus off the affair and a heightened emphasis upon increasing one’s awareness of one’s own multigenerational identity can result in a huge payoff. When each partner makes efforts in front of the other to learn more about his or her own self, this re-search (on one’s own familial, shaping influences) cannot help but increase compassion and understanding for what each partner is up against in being intimately connected with the other. Such an earnest effort to build upon facts of family functioning and how one fits into the multigenerational picture builds trust. In my view, affairs do not have to be the death knell for a relationship. It has been observed that however deep the pain is the potential to achieve similarly deep levels of joy. Embedded in trauma can be new opportunity. For such an outcome to occur, both people must develop the capacity to see their part in how their love relationship became disconnected enough to become vulnerable to symptoms such as infidelity. The nature of systemic couples therapy is such that relationship dynamics are viewed as co-created, similar to an action/reaction kind of interplay. The discovery of an affair by a betrayed partner is an ache like no other. The betrayed partner may question what was ever real and genuine about the marriage. Hope springs from the notion that the pain, crisis and regret can be used as an opportunity to grow as individuals and reconnect as a couple. Hope also springs from the notion that each partner played a part in the disconnect leading up to the affair. If each partner can maintain a focus on deepening understanding of self rather than anxiously focusing on what’s wrong with the other, new and hopeful possibilities may emerge. People are less likely to be motivated to grow or look at themselves realistically if they are chronically, but not profoundly, uncomfortable. It is in acute moments of marital crisis that couples can create radical and healing change. Clearly, the telling and retelling of the infidelity story needs to be one piece of healing. Another important piece is for each person to look at their own part as to how their relationship became so disconnected over time. Each person needs to consider how he/she can contribute to the healing, including the practice of working on one’s capacity to become more direct and transparent in one’s communication, in the ability to risk the other’s disapproval in order to be a “self.” A safer, more secure bond results when one increases their capacity to look into and “see” themselves as well as being able to trust that their partner will open the door enough to allow themselves to be seen as well. Systems therapy does not assume blame; instead it assumes that interactional sequences and patterns are co-created. As such, even the betrayed can assume some responsibility for creating a context for conditions leading up to the infidelity. This is not to place “blame” upon the betrayed. It is simply an observation that when there is heightened tension and/or distance between two closely connected people, a third person may be triangled in. The reported symptom of infidelity that emerged in the case of long-married couples like John and Elizabeth Edwards or Maria Shriver and Arnold Swarzenegger, reflects the possiblity that their marriages may have been offtrack for many years. Perhaps both partners procrastinated addressing the escalating problems in the relationship. Instead the growing, emotional disconnect was ignored or, at the least, pushed aside and each person used mechanisms to bind their anxiety about the divide. The procrastination and/or avoidance of addressing a growing marital disconnect exacted a huge cost. A dyad may be the least stable unit. When the inevitable tension that develops between two people becomes too high for one of them to tolerate, predictably a third will be triangled in to ease the anxiety between the original two (Kerr & Bowen, 1988). In a troubled marriage, a child is often used as a third. One person makes up for the loss associated with the original partner by becoming overly involved with the child. The anxious position in a triangle is the one who has been shoved to the outside-that person may be vulnerable to symptoms like infidelity. People who decide to engage in an affair need to recognize in themselves an immature effort to “borrow self” from another. Dr. Murray Bowen, a pioneer in the development of marriage and family therapy, referred to such behavior as exhibiting qualities of being a pseudoself (Kerr & Bowen, 1988). A person with a high degree of pseudoself exhibits significant discrepencies between their private, inner worlds and their actions in the outer world. They are not able to live their lives according to their principles, because they are looking to gain approval from others in an attempt to validate themselves. To live a genuine, principled life as an individual, as a partner, and as part of a family is a lifelong effort. In my view, therapy that aims to help couples heal after infidelity looks to teach people -not in learning WHAT to think–but in learning HOW to think–about the affair and all the conditions that fed into the pain and opportunity present in this moment. It is about being responsible for one’s responses. It is about becoming increasingly familiar with what one’s own part was in the dynamics of the marriage, about learning the nature of family systems and then studying how its principles can fit into each couple’s particular healing story. In this way, both husband and wife can become a systems expert on themselves , a systems expert on their own family-of-origin system, and become more present and accountable for the duration of their marriage. Stepping up to the plate to work toward the healing of a marriage challenged by the pain and trauma of an affair is a far-reaching decision with a multigenerational legacy. If the couple decide to embark upon such an effort, the outcome will be determined by the ability of each person to keep their eye on themselves rather than anxiously focusing on “fixing” their partner. In couples therapy from a family systems perspective, two strong “I’s” make the most stable “we,” and working toward increasing each partner’s sense of self is central to increasing the couple’s capacity for longterm intimacy. To learn more about Dr. Cunningham”s model of practice, visit http://www.cunninghamtherapy.com or call 619 990-6203 for a complimenary telephone consultation.